The Ortigas Complex is one of the most prestigious locations in Metro Manila. Working at Ortigas is already considered a privilege. What more can you say about actually living right in the middle of the area? If you’re a young professional whose career is on the rise and you want to live in a place that is near your place of work, then you need to check out the St. Francis Shangri-La Place. This condominium complex is one of the few residential buildings in the area, so you need to act fast if you are thinking of getting one of the few available units, because you can be sure that many other people are interested in the place as well. Shang Properties, the company behind the development of the St. Francis Shangri-La Place, aims to provide the most exclusive living spaces for the kind of people who want to be in the middle of the metropolis and within spitting distance of any and all commercial establishments. The St. Francis Shangri-La Place is actually the tallest twin tower structure in the Philippines at 60 stories tall each building, a podium complex that connects the two towers, and five underground levels for parking. The Shangri-La Place is certainly the epitome when it comes to metropolitan living. Unlike other condominium buildings, the units in the Shangri-La Place are massive. Even the smallest condominium units are quite large and will not make you feel claustrophobic at all. However, what you need to keep in mind is that these units do not come cheap, which is somewhat obvious since you will be living in the middle of the Ortigas Commercial and Business district. In addition, only a couple of units are up for grabs, thereby further increasing the value of each. You can choose from four different condominium unit models: a studio-type unit (only available at Tower 1), a one-bedroom unit, a two-bedroom unit, and a spacious three-bedroom unit. The studio-type unit is almost twice the size of the studio units provided by other condominium buildings at almost 42 square meters each. This means you will have more than enough room for a sleeping area, dining area and kitchen. You can also fit in a modest living space for when you have to entertain a couple of guests. The unit also comes with a complete T&B. The one-bedroom units are just a bit bigger than the studio-type units at 45 square meters each but they do have the distinction of having a separate bedroom. These units are also more spacious, so you will have more space for a dining area, living room area, and a complete kitchen setup. These units are perfect for any young single professional who does not only wish to live in a condominium building but also want the same kind of feel of living in a small townhouse or apartment. Another thing about the one-bedroom units that are not in the studio-type units is the former has a small balcony in case you want to look at the beautiful Metro Manila skyline. If you have a small family, you will need more space than what the two previous units have to offer, so you should consider getting the two-bedroom condominium units. Measuring over 100 square meters each, the two bedroom units provide more than ample space for a small family (the couple and one or two children). The bedrooms are spacious and have their own built-in cabinets and wardrobes for storage. You will also find that the two-bedroom units have two bathrooms - a common one and another one that is only accessible through the Master bedroom. On the other hand, if your family still requires a bit more space, you will find it when you get the three-bedroom unit. Measuring 165 square meters each, they are quite possibly some of the largest condominium units that you can get in the entire Metro Manila area. This condominium unit actually provides more floor space than most townhouse units in the metro, even the ones that have two floors. As mentioned earlier, living in the center of one of the largest commercial complexes in the metro has a lot of benefits but you have to be willing to invest a bit more into the property compared to other real estate options. The price of the studio-type units start at PhP 5.8M and the prices go up to PhP 22.5M for the three-bedroom units. Yes, the units are quite expensive but if you take into consideration all of the benefits of living in the Shangri-La Place, you will discover that you are actually getting a good deal. 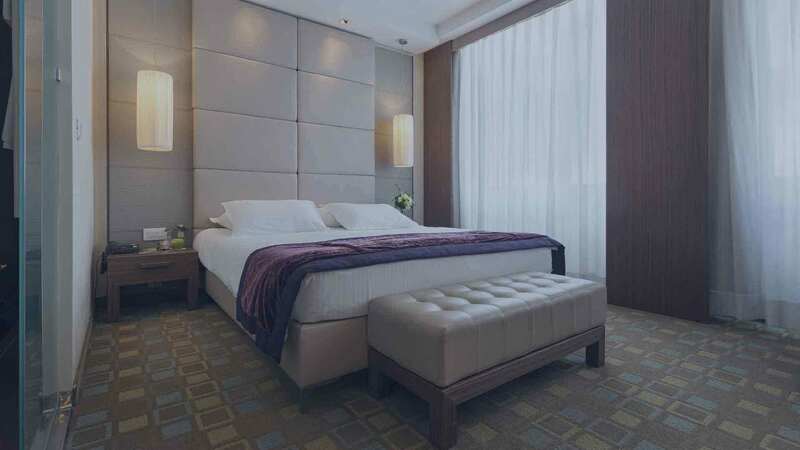 Shang Properties St. Francis Shangri-La Place in Mandaluyong City, Philippines is a premier Condo project available for sale. If you're looking to rent or purchase St. Francis Shangri-La Place, then check here first. We have full details of St. Francis Shangri-La Place updated regularly as well as everything you need to know about the availing and booking process, broken down into stages that includes selecting a unit, choosing a payment plan and buying your dream home at the right price. For price list, free site tripping or showroom visit, personalized service, model house, unit plans, floor plans, payment terms, CHAT LIVE with an agent 24x7. We are Remax Perfect Homes. Always only buy from PRC licensed Real Estate Brokers and Agents. This twin-tower standing each at 60 floors, is another of Shang Properties’ condo for sale in Mandaluyong City that has residential units that sell like hot cakes. The St. Francis Shangri-La Place Ortigas is currently on preselling status (limited units available) so you have still the chance to pick the perfect unit and its location (whether you want the awesome view of the nearby Wack Wack Golf and Country Club to the northwest of the site or the majestic Pasig River and the Sierra Mountain Ranges to the east, and the skylines of Makati and Taguig BGC to the south). Additionally, you are still treated to a more affordable and easy to pay property that will suit your budget and income. For more info about the availability and location of units still on sale, contact our ever reliable team of expert real estate brokers on this website for details. Where can you find a condo community with immense residential units in the middle of the metropolis and right at the Ortigas Center, at that!? Only the St. Francis Shangri-La Place Ortigas has enormous residential units ranging in sizes from 178.2 to 640.5sqm in floor area. The units come in stylish and roomy Studio, 1-BR, 2-BR, and 3-BR delectable residential suites that have large windows, luxurious interiors, high ceilings, and even spacious balconies. The buildings are also touted to be the safest in the country as they are the first tower in the globe that features damping systems similar to the one used to reinforced the Millennium Bridge in London. At the St. Francis Shangri-La Place Mandaluyong, it is not only your investment that is safe but also your entire family. The St. Francis Shangri-La Place Ortigas is designed by the world-famous architectural firm Wong Tung International Ltd. in partnership with the country’s leading architectural company, the Recio + Casas Architects. The master-planned twin-tower community is a condo in the Ortigas Center that has a podium that connects the two buildings and comprised of some of the world’s most impressive amenities and facilities seldom found in other giant vertical communities across the commercial and residential centers of Mandaluyong and Pasig. It is also being managed by the Philippines’ foremost property managers, the Shang Property Management, Inc.
One other thing great about this condo in Mandaluyong City is its diverse neighborhood which is composed of various residential, commercial, educational, and other entertainment centers and establishments that are in close proximity to the St. Francis Shangri-La Place Ortigas Center. The Victor R. Potenciano Medical Center is just a few blocks away from the site, as well as the SM Mega Mall, Capitol Commons, Estancia Mall, Starmall Edsa Cinema, Starmall, Megatrade Hall, Astoria Plaza, University of Asia and the Pacific, STI College Shaw, Ginebra San Miguel, Inc., Richmonde Hotel Ortigas, Development Academy of the Philippines, Sancta Maria Stella Orientis Oratory, United Laboratories Research, May Flower Plaza, Greenfield District, the British Council Philippines, and other establishments located near the site.